Underfloor heating systems are an efficient and cheaper method to distribute heat than their radiator equivalents. They come either as an electric matt system or as a wet system, with the latter connecting to your renewable heating system. Can you really use underfloor heating as a whole-house heating solution – and if so, how? 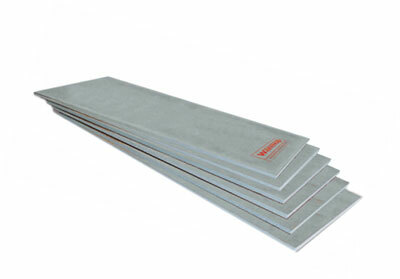 A helpful guide to a few reliable suppliers of underfloor heating mats for wood floors. Should I use Underfloor Heating Mats for Wood Floors? Find an answer to a common question about underfloor heating mats for wood floors, and see our directory of suppliers. A quick guide to the main benefits of underfloor heating. Can you use laminate underfloor heating for your green home? Learn how you can use laminate underfloor heating for your home. Offering you energy efficient heating which saves you money and warms your home. 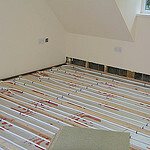 Choosing and Running a Cheap Underfloor Heating System. What kind of system to go for when looking for cheap underfloor heating, and how to run your system most efficiently.